Nicola, the founder of MyLiferaft, was a parent carer for her daughter Faith as well as being a wife and a working mother to two additional children. 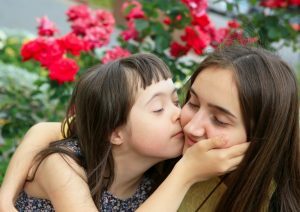 She understands the world of being a parent carer and set about designing a tool to support you and your child. Do you feel like a walking encyclopaedia and wonder what would happen if you weren’t there or you lost your notebook? Have you been put off meeting friends or going to the gym because it was just too hard to hand on information to another carer? Do you repeat the same information over and over, still never quite sure that you have given consistent, correct & up-to-date information? If the answer to one or more of the questions above is YES, then let MyLiferaft help you. 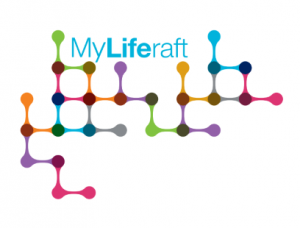 MyLiferaft is a central and secure online location that can hold ALL your child’s information so you only ever have one point of reference. Read how MyLiferaft has helped parent carers. Click here to find out more. The internet is wonderful thing, but we can all sometimes find looking for information daunting – a needle in a haystack! At MyLiferaft we want to help you find the needle and have created a list of resources that we hope you will find useful. Government information on SEN and DLA* forms. Support charities and organisations including autism, asthma, cerebral palsy, epilepsy, and downs syndrome. 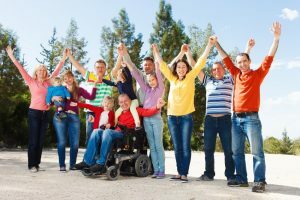 Companies specialising in holidays for those caring for someone with a disability. Below are some questions that that will give you more information about MyLiferaft. If you find you have a question that isn’t here, please email us at info@myliferaft.com or call us on 03302 231192. Premium account: £12 per calendar month paid in monthly payments or an annual payment of £120 a year. Standard account: this account is free. All new accounts automatically are up with a free Standard account. You will be able to use all areas of the system, but with some limitations. For more information, please read our Subscriptions page. When do I have to add payment information? Payment information is not required when setting up a Free account and is only needed when you set up or upgrade to a Premium account. Yes. We do not hold any payment information in our systems. Credit card information is managed and handled by our card payment partner (Braintree), ensuring payment details are kept totally separate from your personal information. You can share information with another person if they have a MyLiferaft account. You invite them to create a MyLiferaft account, then choose what information you want to share with them. If you want to stop sharing information, this is possible and easy to do. What device and technology do I need to access? You can access MyLiferaft from any device that has a web browser and links to the internet. The optimum size to view MyLiferaft is on a tablet or PC, however we have users who access MyLiferaft via their mobile phones. To get the best from MyLiferaft, we recommend you use the following browsers in their ‘native’ modes (i.e. with no add-ons such as Incognito): Internet Explorer (IE), Chrome, Firefox and Safari. For each of these browsers, we support the current version and the previous version. When you connect to MyLiferaft we use a globally recognised certificate to help protect our system (you will see a ‘padlock’ image on your screen before https://). This certificate ensures you are only connecting to MyLiferaft and not someone else pretending to be us. This certificate further protects your information as anything you type in is encrypted before it gets sent across the internet from your computer to MyLiferaft. Can I get information out of MyLiferaft? Yes – we have built a number of reports that allow you to print off hard copies that you are able to share with other people. This facility is ideal if your child is meeting a new teacher and doctor etc. as you can hand them the information to read. Can others change the information I add? No – they can view the information and send you a comment. You can then choose to accept or not accept their comment. If you choose accept, this comment will then be added to your information. Can my child access their account? Yes – when you create your child’s account, they will need an email address. When they log in they will do so using their email address and they will set their own password. At this point, they will be able to see all their information, however YOU can restrict what information they can change. Can someone else manage my child's account? Yes – you can transfer the management from yourself to another person if they already have a MyLiferaft account and can view your child’s account. Can I use MyLiferaft account to add information about me? Yes – anyone with a MyLiferaft account can add their own information as well as manage and add information to an account they manage for someone else i.e. a child or elderly relative. I use Google Calendar - can I link this to my child's MyLiferaft? Yes – you can add appointments to your child’s MyLiferaft calendar and have those appointments display in your own Google calendar. When you add an appointment for your child, MyLiferaft also allows you to see your Google calendar so you can avoid clashes. Having your child’s calendar separate from your own in MyLiferaft means others who you share your child’s information with can also see what they have planned without you having to share your calendar too. Can I upload documents into MyLiferaft? At the moment, we are not able to offer this function, but it is on our development plan.